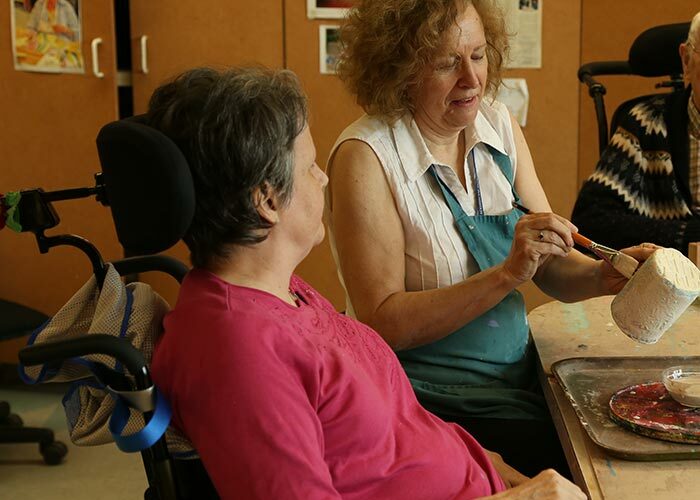 Perley Rideau volunteers provide special comfort and care to residents of our Village. Volunteers are carefully screened and trained to give direct support through welcoming new residents and families, medical escorts, feeding, visiting, pet therapy, palliative and spiritual care. Volunteers enable greater participation in church services, creative arts, recreation, and physiotherapy programs. They staff Deborah’s Gift Boutique, the residents' Pub and Ice Cream Parlour and they porter residents to the Beauty Salon and Barber Shop. Loved ones are welcome to volunteer to provide direction to the Health Centre through the Family and Friends Council. Read more about the wide range of opportunities for you to help improve the well-being of the people we serve. Our current volunteers range in age from 13 to 95 and include people of all abilities. 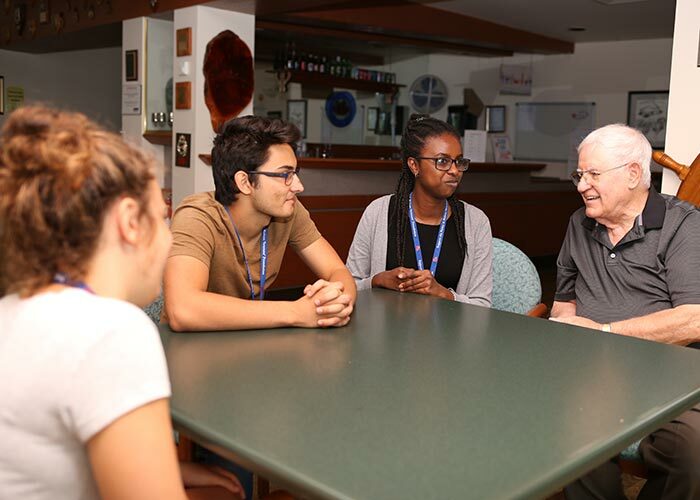 Through Volunteer Services, Perley Rideau offers High School Co-op placements and a Summer Youth Program. We are pleased to provide all registered volunteers with a thorough orientation, ongoing training opportunities, free parking and vouchers for refreshments in the cafeteria. Want to get involved? Complete an application form today!